The Cardiac Anesthesia Risk Evaluation (CARE) Score was created to develop a simple risk classification tool to predict mortality and morbidity after cardiac surgery. Shows similar accuracy to more complex cardiac anesthesia risk assessment schematics. Does not account for age and left ventricular (LV) function. The score contains only 6 variables (compared to EuroSCORE, which contains 18 variables) but shows similar accuracy. Quickly risk-stratifies patients undergoing cardiac surgery in the clinical setting. Requires fewer variables and data, including those that may be hard to obtain on the day of surgery. Patients with a CARE score of 3 or above NOT undergoing emergent surgery should be optimized (after weighing the risks and benefits of delaying surgery), and if their uncontrolled medical problems can be treated preoperatively, mortality and morbidity outcomes may decrease dramatically. Patients with CARE scores above 3 should be informed preoperatively of their surgical risk. Predictive models such as the CARE score have modest predictive abilities and should be utilized as a tool used in conjunction with other clinical factors. 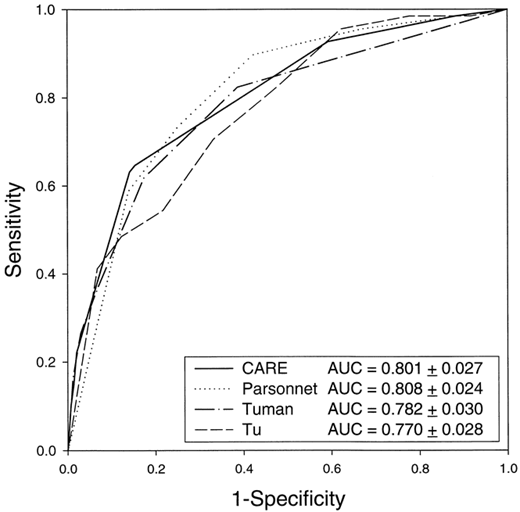 When compared to other multivariate studies, the CARE score showed equivalent sensitivity/specificity tradeoff (by receiver operator curve analysis) when compared to more complex cardiac anesthesia risk assessment schematics (developed by Parsonnet, Tuman, and Tu, respectively). When compared with the often utilized EuroSCORE, the CARE score provides reliable risk adjusted mortality results with 6 clinical variables versus the 17 in the EuroSCORE (Tran et al). Dupuis JY et al. 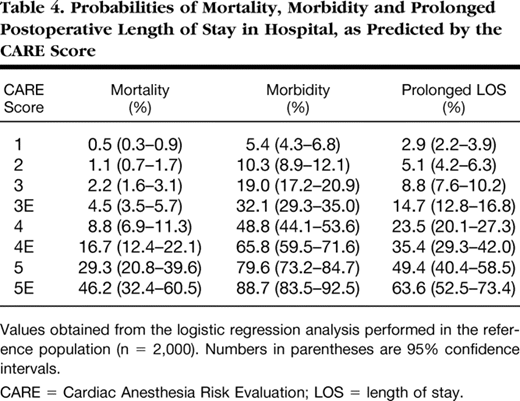 The Cardiac Anesthesia Risk Evaluation Score A Clinically Useful Predictor of Mortality and Morbidity after Cardiac Surgery. The Journal of the American Society of Anesthesiologists 94.2 (2001): 194-204. Ouattara A et al. Predictive performance and variability of the cardiac anesthesia risk evaluation score. The Journal of the American Society of Anesthesiologists 100.6 (2004): 1405-1410. 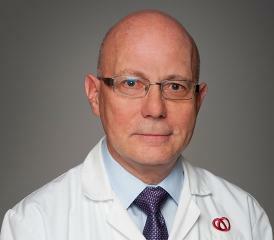 Jean-Yves Dupuis, MD, is a staff anesthesiologist of the Division of Cardiac Anesthesiology and an associate professor at the University of Ottawa. He is a regular contributor as a principal or co-investigator to single and multicenter randomized trials assessing new drugs and therapies in the perioperative setting of cardiac surgery. Dr. Dupuis’ research interests are perioperative epidemiology and the analysis of medical practice in the cardiac surgical population.